These muffins are the epitome of lightened up baking. 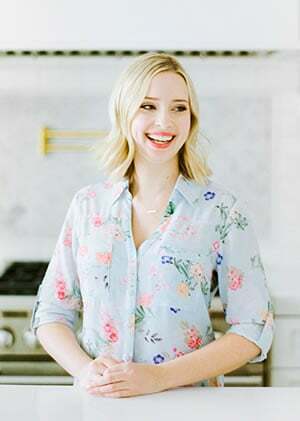 I get asked so often how to make recipes lighter, low sugar, low fat, whole wheat, dairy free, and a whole host of other healthy baking questions. I figured there was no better time to share a few of these recipes with you than January, so I took my Ultimate Muffin recipe base and completely transformed it into something MUCH healthier. 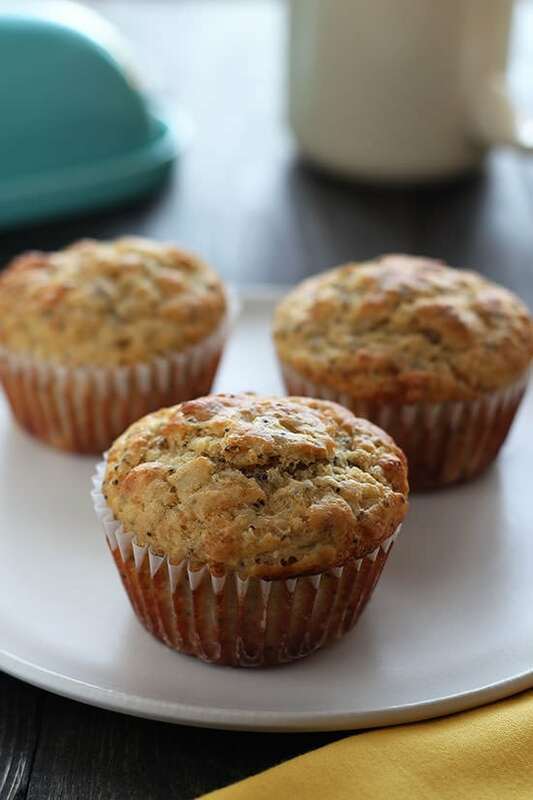 These muffins check off all the guilt-free marks, they’re whole wheat and low-sugar thanks to some mild white whole wheat flour, a touch of brown sugar of flavor and moisture, and a little bit of honey for some less processed sweetness. They utilize chia seeds instead of poppy seeds for an extra burst of nutrients. The recipe calls for almond milk, or any other milk of your preference, to make dairy-free or just easier on your digestive track. They also take advantage of coconut oil for a perfect butter substitute to avoid cholesterol and dairy. All these healthy ingredients are pretty much masked by the incredibly vibrant aroma and flavor of the Meyer lemon zest and juice. Meyer lemons have such a beautiful taste, if you’ve never experienced it before this is the perfect recipe to try. If you can’t find Meyer lemon, no worries, you can easily use a regular lemon. Taste: Slightly sweet, tangy, fresh, and bursting with bright citrusy flavor. Texture: Fluffy, ultra moist, soft, with a slight chew. Ease: Ridiculously easy, just 10 minutes prep time. Appearance: These look like perfect muffins, no one has to know they’re lightened up! Pros: Easy, light, and flavorful. Would I make this again? Yes and yes. The full Low Sugar Meyer Lemon Chia Seed Muffin recipe can be found on Imperial Sugar’s website! This post was written by me on behalf of Imperial Sugar. All text, photos, and opinions provided are my own. These look really good. Just wondering what the calories/nutrition are on them. Thanks. Lemon is one of my favorite flavors, but I so often forget to use it in my every day life aside from the garnish to me water or cocktails. 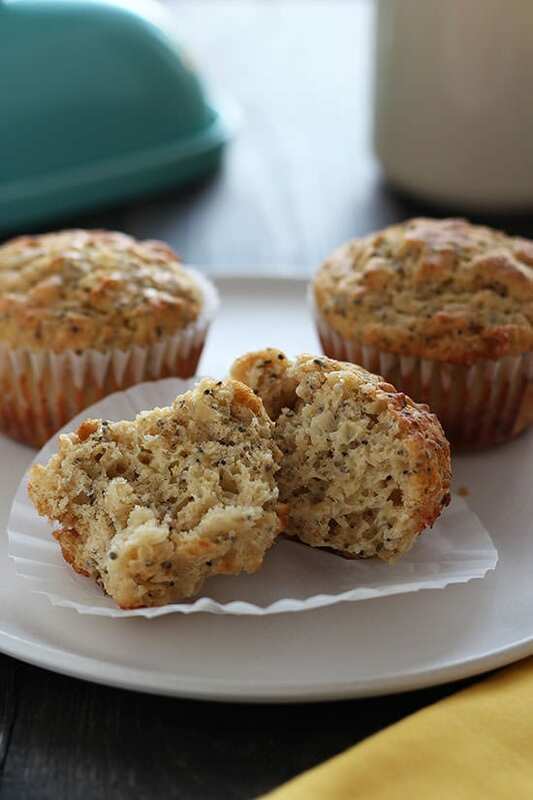 Love these muffins and love that they’re lightened up! I never thought I was a huge fan of lemon, but really, they have become my favorite! These look great. I have a question about the instructions. In step 3 you say mix together the yogurt with the other liquid ingredients, but almond milk is listed in the ingredients. Which one is right? Do I use a cup of milk or a cup of yogurt? thanks!